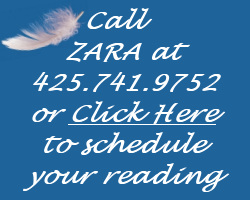 There are probably many questions that you would like to ask ZARA, but have never, or may never have the chance…these are some questions and answers that were asked of her during an inteview that might give you the understanding you are looking for. Everyone’s soul’s yearning is to be fully linked with God. Yet Yet most people are not aware of their soul, and thus are not in touch with their soul’s yearning. For those who are aware, what do they yearn for, and how cav they achieve it? Over the past few decades, angels have become popularized as kind and helpful beings devoted to guiding and protecting each person on earth. And in fact, angels are supernal beings created by Divine Essence long before humankind. My experience is that everything we learn in the Inner Retreats is useful and fun, and that the spiritual questions that used to puzzle you get answered. Many people whose lives have been held back by negative conditioning, can be released from their negative patterns through our working together. When a client comes to me for a session, my specialty is to find out how they were negatively programmed, and then change the programming so they can live happier, more productive lives. Each of us came to this earth to accomplish something, and according to the angels, finding that something and actually doing it is important. Before birth, each of us made a plan to fulfill a worthwhile purpose.